The Pomonal Hall Redevelopment has swept the prize pool at the 2017 Victorian Architecture Awards, claiming two prestigious awards. Lorraine Row, David Harris and David Handscombe were community members who were apart of the Pomonal Hall Redevelopment project. The Pomonal Hall took out a Public Architecture Award and the Regional Prize at the ceremony, which celebrates architecture that significantly contributes to its local community — culturally, economically and socially. 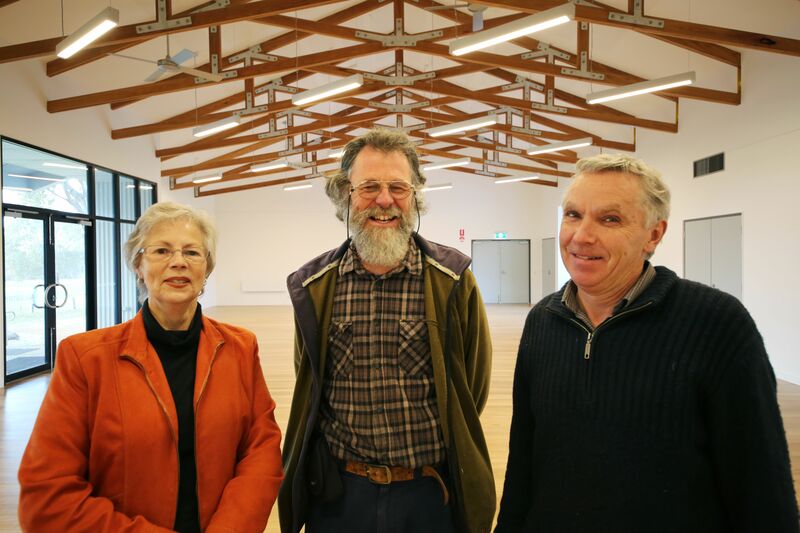 The Pomonal Hall Redevelopment project was achieved by a working partnership between State Government, Ararat Rural City Council, Workshop Architecture firm and passionate Pomonal community members. 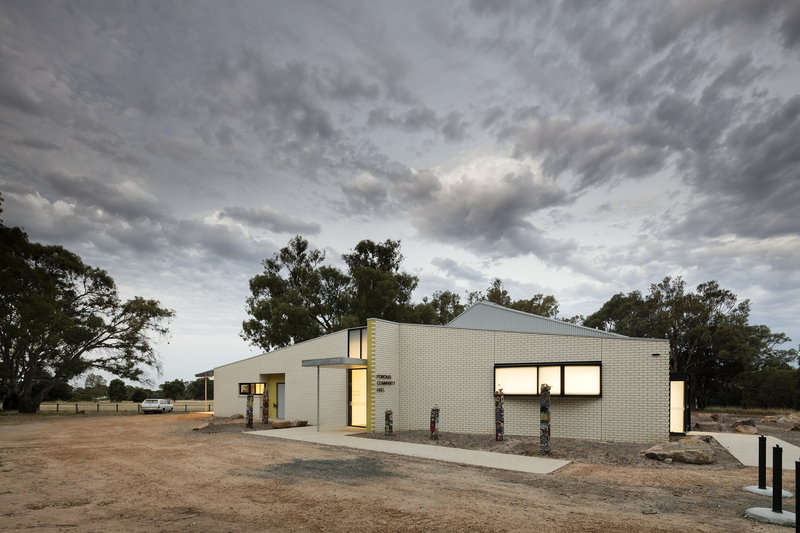 Ararat Rural City Council Mayor, Cr Paul Hooper said the award was great recognition for everyone involved in the project, particularly head architect Simon Whibley. “We are so excited to have partnered with Workshop Architecture and Simon. To see them win awards in two categories, this is an outstanding result and evidence of good design in public spaces,” Cr Hooper said. 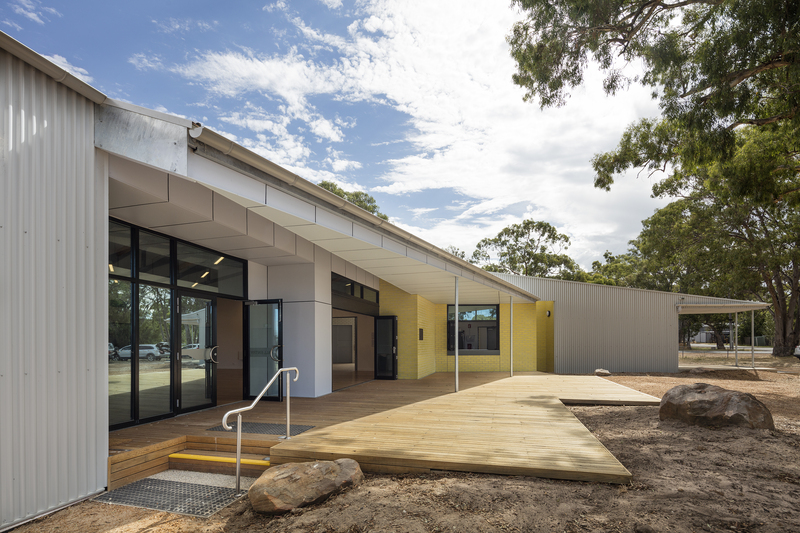 The two architecture awards follow on from Pomonal Hall’s nomination earlier this year as a finalist in the LGPro 2017 Awards for Excellence in the Community Assets and Infrastructure category. Mr Whibley said the most satisfying aspect of his involvement in the Pomonal Hall redevelopment was the way all parties contributed. “That optimism and achievement was picked up by both awards juries and was strongly reflected in their award citations,” he said. The south side of the building is Mr Whibley’s favourite feature architecturally, where the white brick wall folds away from the hall and frames the entry to the building, while the Hall’s official opening in September 2016 was his favourite experience. “On the opening weekend the terrace next to the meeting room was co-opted as a food stand for serving some delicious bacon and egg rolls – I really liked how this part of the building was being used in a way that was totally different to what we had intended, but doing so with such success,” he said.